Celebrate the Wilier Triestina's return to the Tour de France with our #ALLEZWILIER promotion. 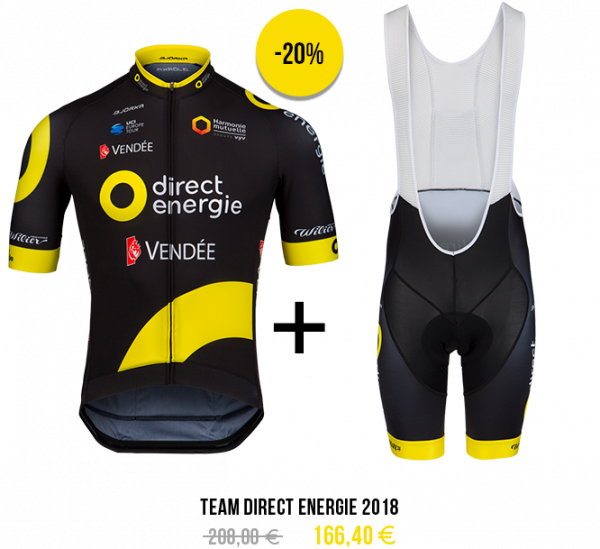 Shop online the Team Direct Energie racing suit, jersey plus bibshort, and get now a 20% discount. You have until the 1st August, the offer is valid for the Team Direct Energie replica suit.